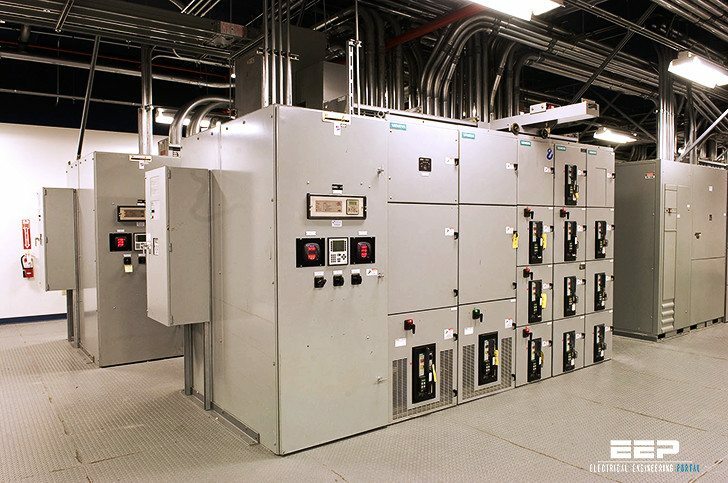 The rating of substation equipment as well as the connections must be decided. Transformer size/s must be selected according to the maximum expected load and possibility of future expansions. The size of transformer may be selected from power ratings given below to supply present and future loads. Consider that you would like to choose a transformer to supply power to a factory which requires maximum of 270 kVA of power at 400 V on the LV side and no expension is considered for near future. The power will be provided by connecting the factory to 33 kV MV voltage level. Choose the transformer. Can you please share the detailed specification of double pole structure substation? Can i have the design details of closed ring operated MV network? ASSUMED NOT POWER BREAKERS, PROBABLY INSULATED CASE. A DECISION WILL HAVE TO BE MADE FOR THE CLEARANCE IN FRONT OF THE SWITCHBOARDS. INDICATE UNITS, METRIC, OR ENGLISH TO ESTABLISH IF THE COUNTRY HAVE AN ELECTRICAL CODE.I ILL STOP HEAR.